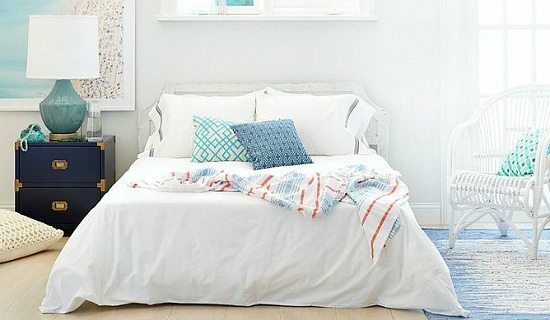 Create a sunny laid back breezy beach vibe in your bedroom with ideas from One Kings Lane. 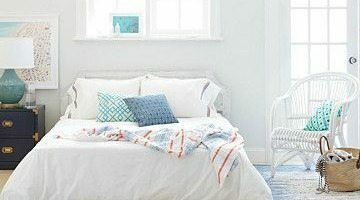 Relaxed linens, prints in ocean colors, and washed-ashore accents come together for a look that will inspire dreams of beach living all year long! These accessories are among my favorites. 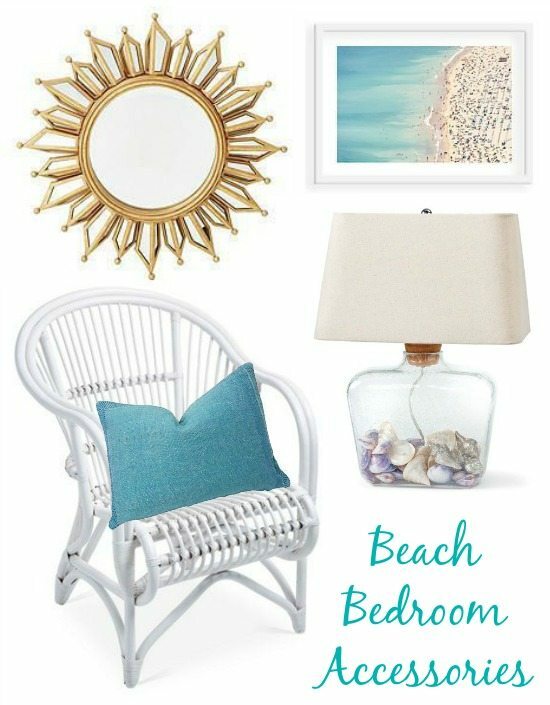 A sun mirror, one of their aerial beach photographs, a natural white painted rattan chair, a fillable beachcomber Lamp, and one of their vintage pillows. A sunny bright look that transports you to the beach! Go ahead and Browse all Bedroom Ideas! And check out all of One Kings Lane’s current Flash Sales! This sale ends in 3 days (4/15/15). Not familiar with One Kings Lane? Below is a short description. One Kings Lane is a flash sales site that offers members discounts. If you are not a member, sign up is simple and free. They regularly launch sales with products for beach lovers (especially going into the summer season). They do several tag sales a week, and they only last for a few days.